I read a few different news stories about a novel that was published in China last June The book is called “Smog Is Coming,” and it’s apparently an allegory for pollution, corruption and the current state of Chinese politics. 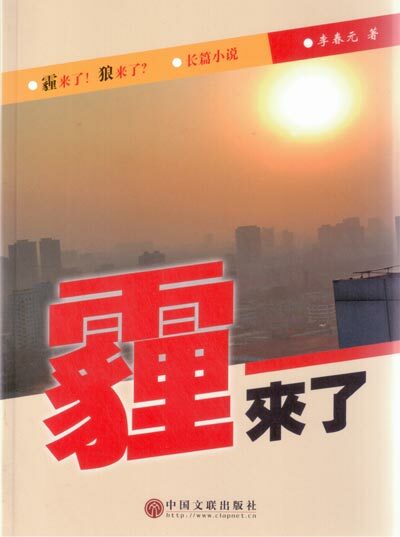 According to this news report, the novel tells a story about taking advantage of smog to commit crime. “Using the polluted skies as his cloak, a masked burglar in ‘Smog Is Coming’ exploits the nightly blanket of haze to cloud security camera lenses as he commits a string of break-ins. It was a scenario that Li said he took from real life. Intrigued, I decided to look for it in the local bookstore. It wasn’t available at the store. The clerk said that she could try to order it for me, and took my phone number. However, a short time later, she called me back and said that the store couldn’t order it. I tried another store in town, and had no luck. Even Amazon’s China store doesn’t have it online. It gets pretty cold up in Harbin. 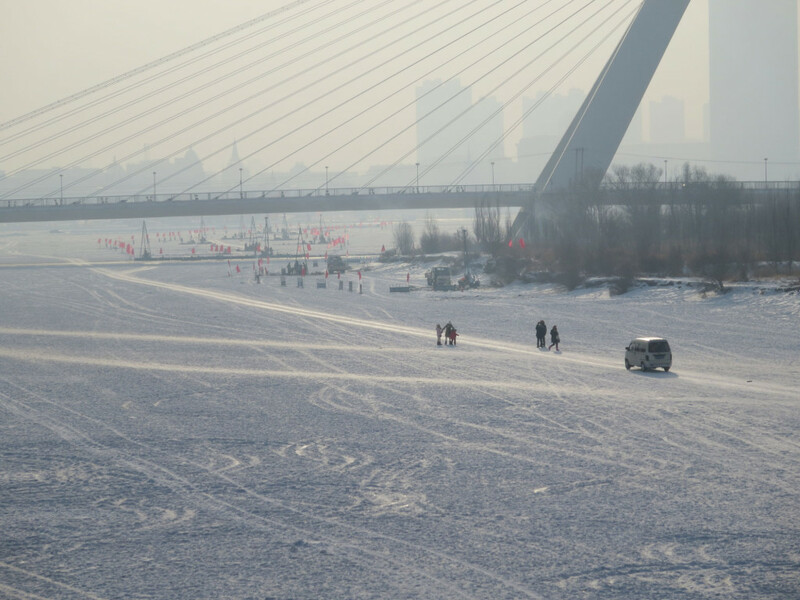 The van wasn’t just driving on the ice, it was driving FAST on the ice.